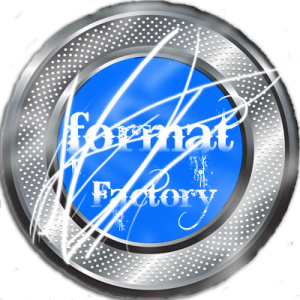 Format Factory is a useful software that has the ability of converting images, videos, and audio files to numerous different formats such as MP3, MP4, 3GP, ICO, MOV, AMR, M4A, MP2, MKV, TIF, PCX, TGA and others.It is also capable of ripping DVDs and CDs to some other file formats. 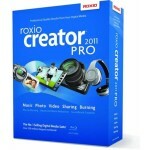 It can also join multiple video files together into one. The interface is appealing to look at and well organized, and in spite of the fact that the application is able to process number of file formats, it is incredibly easy to manage. All the main features are nicely arranged in the left part of the main window, while the process of conversion is detailed in the center. And in case you are not completely satisfied with the interface, you can also change the color theme, as the application also comes with a few other skins. 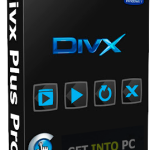 In addition to conversion of formats, the software can also be used to rip DVDs and CDs , or to create ISO files based on user-selected discs. You can even compress the ISO files and generate CSOs. 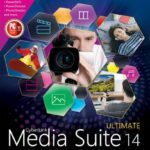 Files can be joined together into one after or before converting several audio or video. 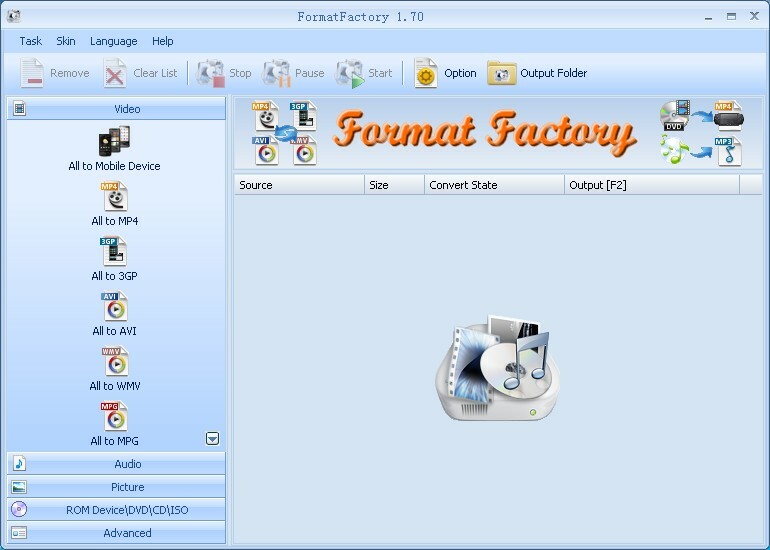 Format Factory can join together files of the same format, and allows you to adjust quality and size of the output file . When dealing with very large files that take a lot of time to convert or join, you can settle Format Factory to turn off the computer when the conversion or joining process ends and you can leave the computer, so that you are not forced to glued to your chair to turn your PC off manually. 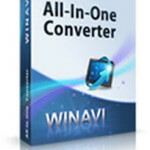 All in all, Format Factory should be your number one pick when converting a file, due to the numerous formats it supports, as well as the functions it provides. Below are wonderful features. You can see these live after Format Factory Free Download. Before you startFormat Factory Free Download make sure that you system meets the minimum system requirements. Click on below button to start Format Factory Free Download. This is complete offline installer and full standalone setup for Format Factory. 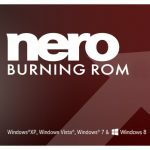 This will work for both 32 Bit and 64 Bit windows.